Yvonne is married to Homer, an Indian from her same tribe. They live at 334 Clay, a narrow street between 2nd and 4th Streets passing beneath the Angels Flight funicular at 3rd. Then ... Just visible here as she approaches the top of the hill, Yvonne climbs the sloping section of Clay from 4th Street. ... and Now, the street doesn't exist any more but the dotted lines superimposed on a recent aerial photo show approximately where it and her house used to be. Then ... She passes 338 Clay, turns into 334, and heads along the side of the house to her rooms at the rear. 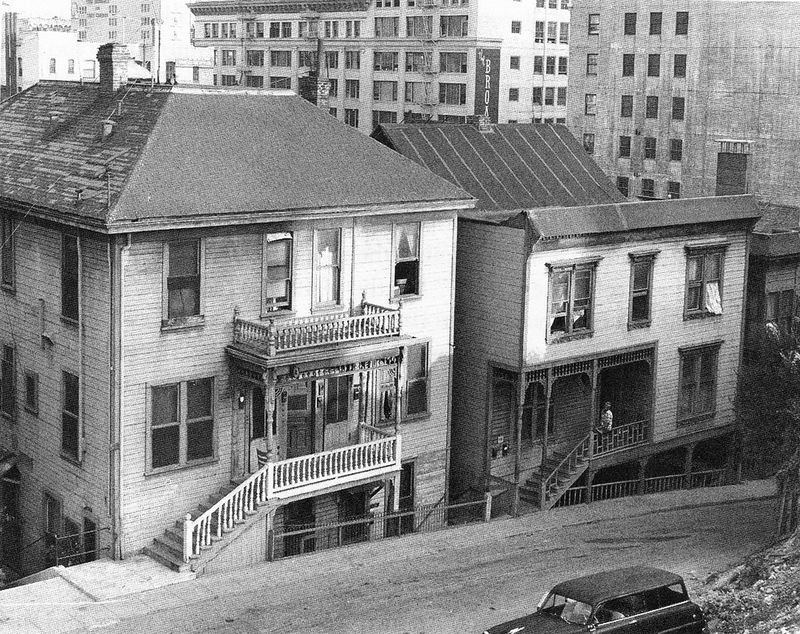 ... a vintage photo ... here's a late 1950s or early 1960s photo of 334 (on the left) and 338 Clay Street. 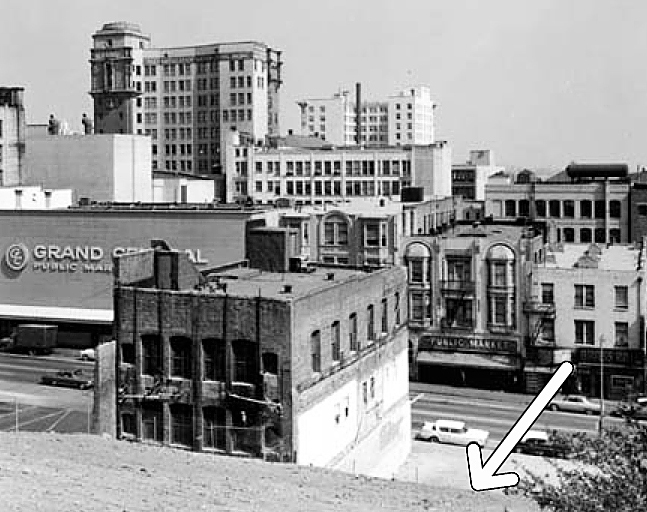 ... in 1966 ... just a few years later the house had been demolished, its location shown by the arrow. On the left down on Hill Street is the Grand Central Market where Yvonne did her grocery shopping. ... and Now, the same view today, with Grand Central Market still there on the left. The view now also includes the Angels Flight funicular, it having been relocated a half block from its original location at 3rd Street. Low-tech grass mowers keep the hillside tidy. 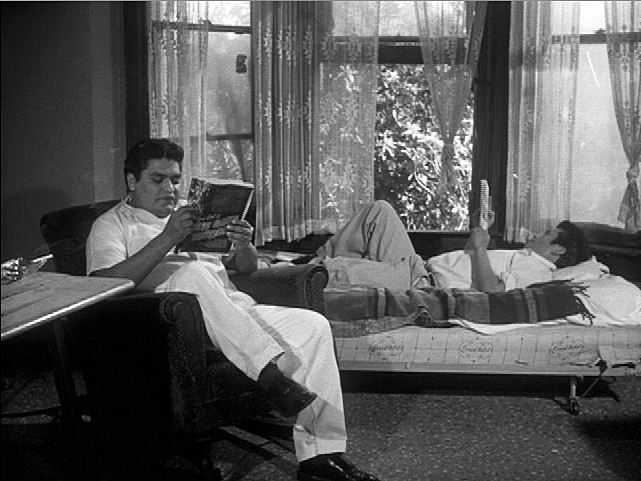 Inside are Homer, (Homer Nish, on the left), and a buddy. They and others who regularly drop in, all former reservation Indians, are unemployed and Yvonne laments in voiceover about how they spend all day hanging about doing nothing other than listening to rock music on the radio and reading comic books.